Published in The Golden Age of Fairytales by Jack Zipes (Hackett 2013). The brief was to explore the darker side of the original Brothers Grimm collection of tales. 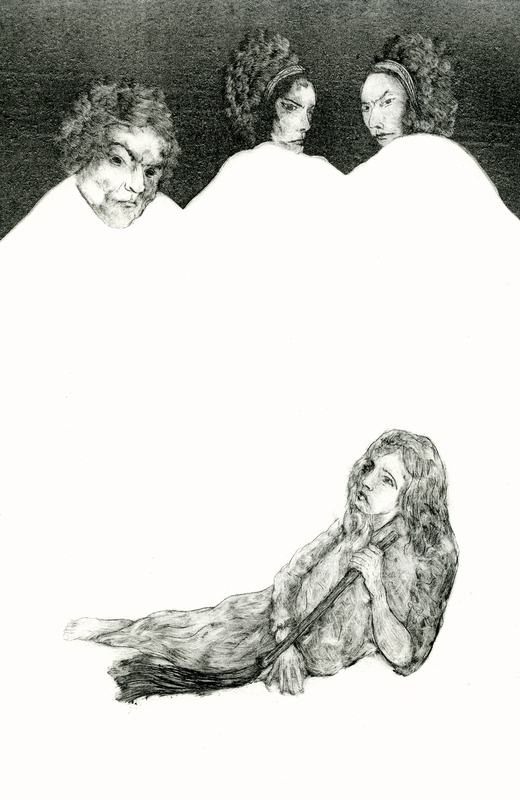 The image of the evil stepmother and step-sisters leering over Cinderella was chosen for the book. The slipper scene below shows an alternative image submitted to the brief.